The Mosaic Gallery contains unique art images that are digital mosaics where the "tiles" or "stones" (tesserae or abaculi) appear to have a 3D look. 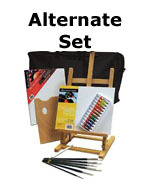 Each artwork appears to be a high quality reproduction of a complex and detailed hand laid mosaic. View the Mosaic Art Gallery on the right. The inspiration for this water lily artwok was found at the Nature Conservancy in Silver City, NM. Tucked in behind some tall reeds, the interplay of lght and shawdows across the flower petals, contrasted by the deep colors of the lily pads and the pond water, made for an exceptional compostition. The arrangement of the apparent "stones" in this faux mosaic is such that they follow the contours of the lily and the pads and reinforce the shapes of the objects. They are not haphazardly placed. The light on each tile comes from the upper left of the image, the same direction from which the sunlight lights the flower. 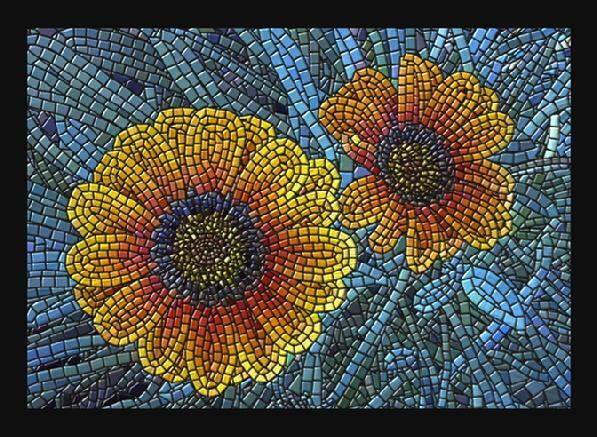 This faux mosaic artwork was inspired by some gazinias growing in a flower pot in my yard. A white rhino at rest with his head on the ground. 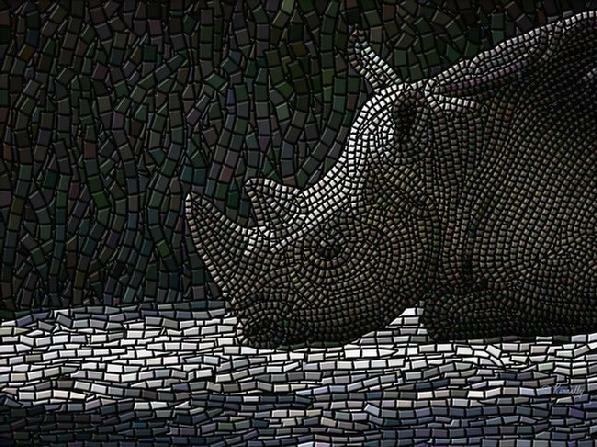 The arrangement of the apparent "stones" in this faux mosaic is such that they follow the contours of the white rhino and lend a physical presence and strength to its appearance. The light on each tile comes from the upper left of the image, similar to the direction from which the sunlight strikes the rhinocerous. The tiles that represent the ground are longer & mainly horizontal to reinforce the flatness of the earth and display some of its small undulations. The background is a mass of multi-colored darks - mainly deep greenish hues - that represent the tangled vegetation that lies beyond this magnificent animal.